I recently did a photo shoot for an upcoming hotdog restaurant. The hot dogs when through quite the process of transformations with lighting, positioning, and fixing condiments, which is illustrated in this gif. After you get your shot, you have to edit. I always struggle with over editing. You want the food to look clean and professional, but still natural. Categories: Food Review | Tags: alabama, food photography, food styling, gif, hotdogs, Ihearthsv | Permalink. 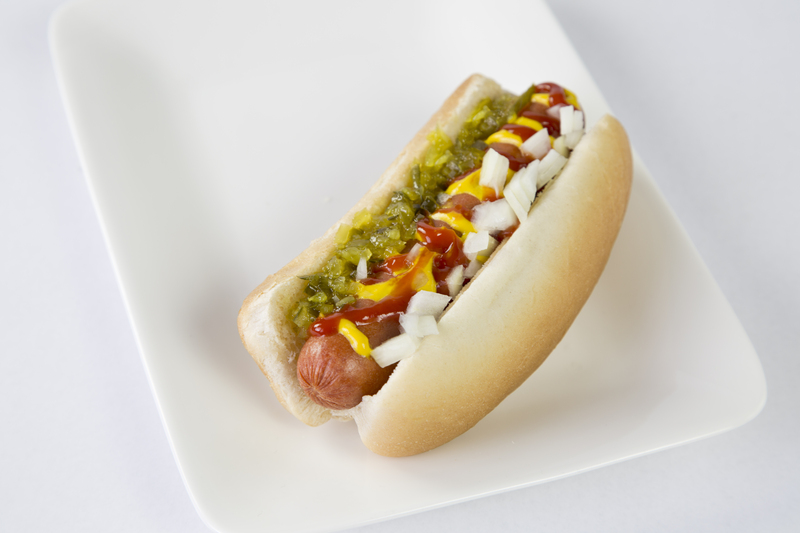 The transformation of the hot dog is great, I am always so interested in how to get the right lighting for food. It’s really hard if you are not a professional photographer to find that sweet place. The hot dog looks really good. Thanks!! I usually find side lit, with a reflector shining on the front gives nice concise/natural light. It is hard though to find sweet place, even as a professional photography. 😉 Your stuff is really lovely though. You should be proud of it.